TIGGO 2 adopts contrast color sports interior, of which the colors are from the orange red of the volcanic lava and the black of volcanic ash. The internal classic exists in its individuality. The headlights, LED DRL (Daytime Running Light) and taillights of TIGGO 2 all adopt “C” shape design elements. These typical “identity” car body appearance design elements are the same with luxury brand in nature, which can both highlight the brand’s connotation and reflect the brand’s individuality. TIGGO 2 is equipped with aerodynamic kit at front/side/tail parts of the car, which locates below the front bumper, at the lowest part of the car side and tail. Meanwhile, it is also equipped with sporty rear wing at the car’s tail part, which can ensure the tail’s “air turbulence” get guidance and control when it is at high speed, as well as ensure the car is stable when it is at high speed. Originated from the creative design of ice hockey club, the design of door handle and self-luminous dashboard red needle of TIGGO 2 adopts this kind of design, which makes the vehicle’s local details full of sporty feel. It is the designer’s deep insight about vehicle and human nature. TIGGO 2 adopts integrated design central control instrument desk, of which the inspiration is from the waterfalls in nature. 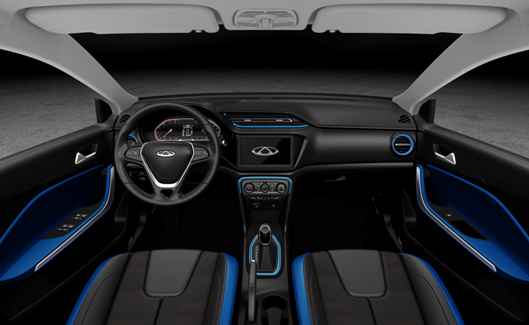 It makes the central control desk and the dashboard integrate naturally, though the two independent configurations have no intersection originally. It removes the mechanical rigidity, and brings you a sense of life in nature. 21 individualized storage spaces . 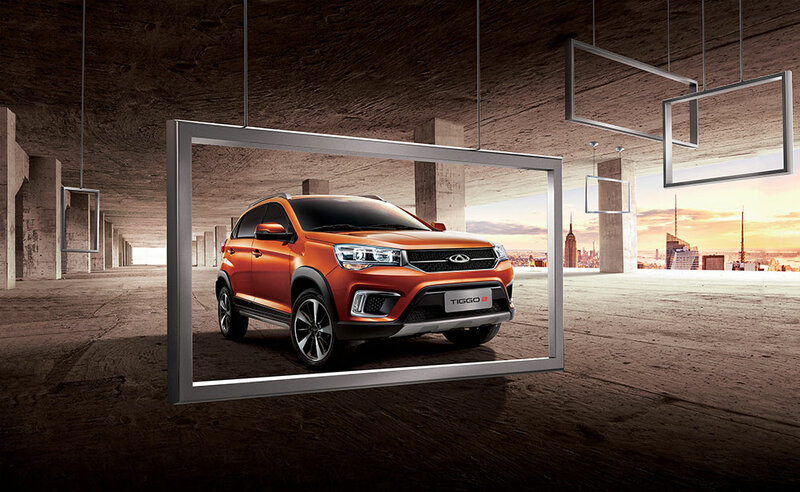 Apart from cooperating with parts suppliers of world top 500, CHERY also has world top full automatic production equipment and international standard advanced factory. It also cooperates with Jaguar UK and Land Rover UK to manufacture Jaguar and Land Rover vehicles in China. TIGGO 2’s durability and reliability of finished vehicle, system and parts in the process of performance development are fully verified, including structural durability test, high speed test, alpine-cold test, wading test, high temperature highland test and other strict development verifications; the total validation is on more than 200 finished vehicles, and the accumulated mileage is about 1.1 million km, which ensures the problems of design and production can be found in time and solved before coming out as well as provides high quality products for users. This is the "artisan spirit" of CHERY. When the driver meets some large slope ramps in the city or meets some hill slopes outdoors, the car moves forward again after interruption, then vehicle sliding is sometimes inevitable. 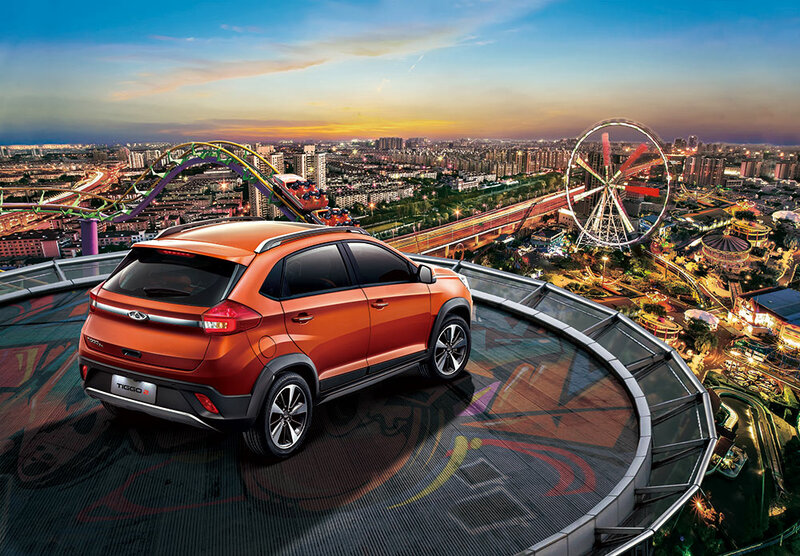 TIGGO 2 is equipped with HHC ramp assist system, which can provide a 2-second brake for braking and provide valuable time for driver’s safe driving. As a matter of fact, the gravity center of SUV is relatively higher due to higher ground clearance. Therefore, the centripetal force of the car body is even greater when cornering. And the vehicle may lose control when changing lines due to avoiding obstacles in daily driving, thus causing greater danger. 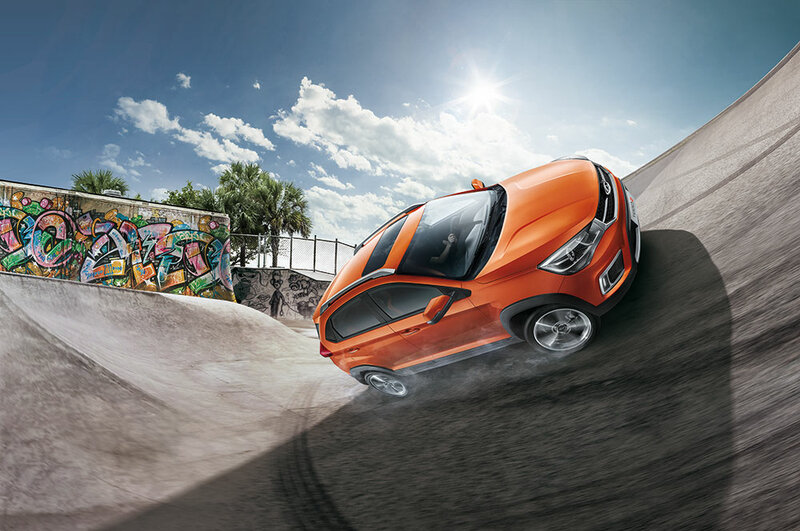 TIGGO 2 is equipped with ESC, which can reduce risk in cornering and enhance fun. Unconsciously the speed is faster and faster, the driver's attention may be taken or the vehicle cannot shift smoothly. These problems can frequently happen in driving. TIGGO 2 is equipped with speeding alarm system, which can set speed reminder freely at 40-130km/h and make driving safe. TIGGO 2 is equipped with TPMS digital display tire pressure monitoring system, which can monitor the vehicle tire state automatically in real time. It can make an alert through dashboard when the temperature and pressure of tire are abnormal, ensuring safe driving. The reverse radar is applied to detect the distance from obstacles at the rear of vehicle, and the reverse image can be applied to help driver observe pedestrians, vehicles, even pets at the rear of vehicle. The two can make up for each other, more accurate, and the reverse image which is equipped with dynamic auxiliary line can tell you how to park your car more easily. TIGGO 2 is equipped with intelligent vehicle mounted system, which has cell phone full screen mapping function, and it is compatible with the currently used Android system and IOS system. The APPs we like in our cell phones can be connected through USB and mapped to the 8 inches large screen. The operation of APPs can be operated by both cell phone and screen. TIGGO 2 vehicle mounted intelligent system is equipped with 8 inches capacitive touch HD screen. Capacitive screen: it is consistent with today’s most advanced smartphone screen, which has accurate operation and high sensitivity. HD screen: it supports 1080P HD picture and video player, which makes the world in the car clearer. TIGGO 2 vehicle mounted intelligent system supports USB interface connection. Large capacity storage: it means that you can use vehicle mounted USB interface to connect large capacity USB flash drive and mobile hard disk drive, and store a lot of lossless high quality music and HD movies in the USB flash drive and mobile hard disk drive. 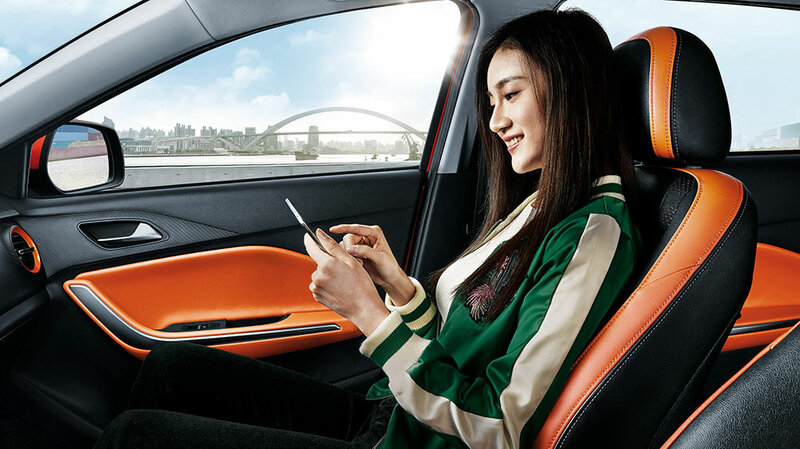 The rich entertainment program in the car can improve the entertainment experience in the car. Multi-format compatibility: TIGGO 2’s vehicle mounted system can support almost all the mainstream documents, pictures, music and video formats. Aluminium Alloy Wheels 16" 17"